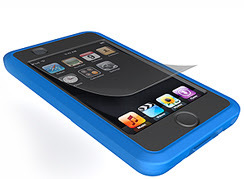 iSkin iPod Touch Case is a silicone case that is designed to perfectly encapsulate and protect the iPod yet maintain a slim and elegant profile – all with well thought out features. 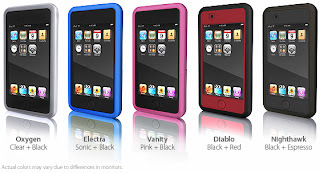 Made with iSkin premium silicone, the iSkin iPod Touch is designed to capture the essence of the iPod touch, and keeping it safely protected from external knocks and scratches. Both the iPod touch’s home and power buttons are adequately protected with the iSkin touch, while integrated port covers securely cover the earphones and the dock connector ports, keeping dirt and other unwanted impurities from entering. 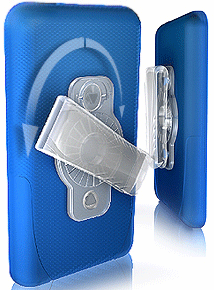 It even covers and protects the iPod’s hold switch, without affecting its usability. The iSkin iPod Touch also comes with a touch-friendly screen film. Besides providing protection to the iPod Touch screen, the screen film features anti-glare and anti-fingerprint properties that help to provide a clear view of the iPod’s screen no matter what the condition. Another feature of iSkin iPod Touch case is the removable belt clip. Being capable of rotating to ninety degrees in either direction, the design isn’t bulky at all, and its durable polycarbonate structure provides a strong hold. The iSkin touch case is available in a variety of two-tone designs, giving it a sophisticated yet fun look. The colors available includes: NightHawk (espresso+black), Diablo (red+black), Oxygen (black+clear), Electra (black+blue) and Vanity (black+pink). The iSkin Touch is now available for $29.99.